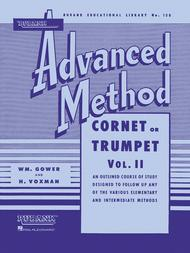 Edited by H. Voxman and William Gower. Concert Band Method. Rubank Advanced Method. Instruction. 80 pages. Rubank Publications #RUBL158. Published by Rubank Publications (HL.4470340). ISBN 1423444299. 9x12 inches. Edited by Wm. Gower and H. Voxman. systematic approach to playing in various keys up to 5 sharps and 5 flats, exercises and melodies are also in the key you are learning. There are weekly practice exercises to follow which can be very handy for self learners and for students for home practice. 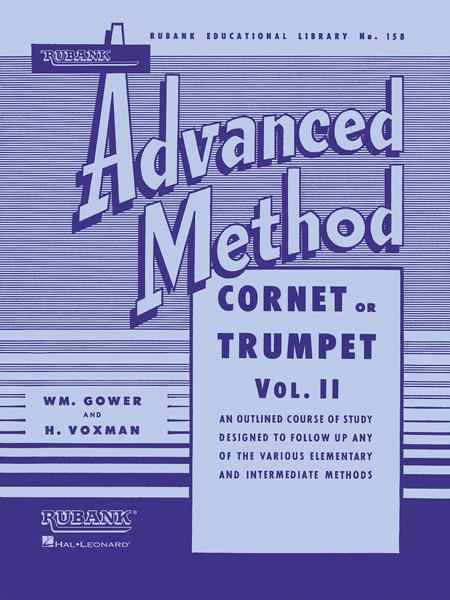 EXCELLENT COURSE BOOK, WITH CHALLENGING EXERCISES.